Ive never been a patient in a care home before, but have visited a few. The care and compassion for me have been excellent. I owe all my progress to the staff here at Eskaton. The atmosphere here is very positive and encouraging. Thank all of you for your assistance in my healing process. Your establishment is clean and orderly. I will say the staff here is absolutely the best. By far the best Ive ever seen. They give each and every patient the one on one care they need. Thank you to all the staff who helped my mother recover and be able to manage her daily activities again. You are the best! Very caring, thoughtful attendants. Delicious food. My only suggestion is small portions. I hate to waste food and I can't eat it all. My father completely enjoyed his stay at this facility. The care and concern he received was top notch. He cherished the care staff and raved about the food every time I talked with him. The service was excellent! Everyone that I had contact with was friendly, courteous, and professional. I could not have asked for better care or a more caring staff. The dietitian/kitchen staff provided tasty and varied meals. The Kaiser coordinator is fantastic! Thank you for making my stay pleasant! This will be short but my care here is like a baby gets when entering this world -- Eskaton is a #1 World class place for care- the place and mostly the people. Thank you Russell for the wonderful review. You made our staff smile! Excellent care in all respects. The staff is very professional, kind, and patient. The physical therapists made my recovery easy. The food was good and filling. The people have always been nice and polite to me. My dad has been here over a week and I am so impressed with his care. He is improving and we are grateful. He even likes the food! In addition to liking the food, which was served nice and hot and with nice touches, the care and concern the Staff showed him was pretty amazing given all they have on their plates. I was there at dinner or lunch most of the time as at the beginning, dad needed help with eating. So I saw how nicely the food was served. You could see the care given to placement as well as quality. We would also visit regularly and many times I was there and the curtain was closed to ensure his privacy and dignity and the caregivers would not know I was there and I could hear them talking to dad and it was always with care and concern. When entering the facility, it never smelled bad nor did I consistently see wheelchair bound people left in hallways (which we experienced at another place). The facility always smelled clean and many times like baking bread or cooking food – a very pleasant experience. In short, should I ever need surgery and after care, I would go here. I felt like while it may not look fancy from the outside, it was clean, had a nice atmosphere and incredibly caring staff – and that’s what matters! Thank you Coleen for sharing. We are so happy to hear you dad likes the food! Everyone here even to the janitorial service have been delightful. Each and every one has been ever so helpful with a smile on their face no matter the circumstance or request. I found the food to be good most of the time; a few exceptions. My only problem has been rest, but that was solved after moving me to another room, which I'm sure happens. So I give Eskaton management 4 stars. Yes, I have told other people about my stay here. Betty, thank you for taking the time to review us and tell others about your experience. We love to hear our staff is full of smiles and always willing to help make a stay better. This is our second visit here. My wife has had both knees replaced. The staff have all been very attentive and caring. We are very pleased with the care she has received here, and would recommend Eskaton Manzanita to anyone as a first class place to be. Merry Christmas! Thank you and God bless both management and the entire staff! Thanks Tim for the review! We are happy to hear you and your wife found first class care with Eskaton. All of the staff is very helpful and caring, from housekeeping, CNA, nurse, doctors, etc. Very clean facility. Nursing staff has lots of TLC. They enjoy and care about their job and residents. From a timely response to a "call light" to the caring pleasant smile of help, the wonderful staff made the unbearable at times much easier. God Bless you all for the comfort you provide and your hard work!! Thank you. In the time I was here at Eskaton at Manzanita, the entire staff here was great. The physical therapy and occupational therapist teams were awesome and truly promoted a quick and safe recovery after my injury. I would highly recommend this facility. Excellent! Very polite and explains everything well. Great quality in everything. I can only say good things about Eskaton. I was there for 10 days. The facility was good. There's always lots of noise and things but that's just hospitalization. The people there are wonderful, very loving and kind. The staff was very nice especially the older nurses. I forgot their names but they were very kind and very knowledgeable about moving around. Because I wasn't able to move around very much while I was there, they showed me what to do and what not to do. The food was very good but I didn't eat a lot of it. I didnt have the appetite because of the pain and discomfort. Because of these, I wasnt into any activities too but I dealt with three of the rehab gals. They were very nice and very kind. They tried to help with the walking and rehab and they did well with that. I am not completely healed but everything is doing okay. I am actually walking without support and feeling much better now. Kristine E. (physical therapist) made a difficult and painful necessity (physical therapy) an enjoyable experience (as much as that is possible!). She was very knowledgeable and gave me many tips to make my workouts more bearable for me. At the same time she was very friendly and personable. I highly recommend her. The care and caring could not have been better. I will return if I ever need follow up care after a surgery. I appreciate the attention to details and follow through when I asked for assistance. The OT and PT were excellent and equipped me with a therapy plan and handouts. Excellent care from all. Confident that PT/OT team have prepared me for thriving in home environment. Appreciate all nurses, the doctor, CNAs -- their carried out their duties in a professional manner. Our family's experience was nothing short of an answer to prayer. My 93 yr old mother was treated with respect and cared for on a very professional and caring level. Virtually every person in every dept was friendly, helpful and took the time to answer every question, with a smile. You deserve the highest rating! The services that I received are very good. About 10 days ago, I came here on a hospital bed, and now I am going home walking. Thanks to God, and the care that I received here at Eskaton from all the staff. They all are very wonderful and caring. Thank you all very much. God bless you all! My mom Betty is a patient here. I want to complement the service and courtesy we have received, especially from your administrative staff. Many thanks to Ms. Mahin K."s personal attention to my Mom. Also, Meridith and Shirley for outstanding physical therapy regiments and routines. My Dad does not want to leave! But he knows he has to. He loved his care and all services provided here! I certainly have enjoyed my time here. The care has been very good and given to me in a most gracious way. The food is surprisingly good and nicely served. My nurses and caregivers are friendly and of course, very helpful. I feel like a princess everyday, from a warm washcloth before breakfast, to hot coffee upon request. Smiles and encouragement! Excellent care. Superb physical therapy, OC and speech team. Nursing excellent! My stay at the Manzanita facility was fairly pleasant. The staff of nurses, LVNs and CNAs all work to make sure my concerns were understood and satisfied. I am genuinely pleased with the quality of service I received. Thank you. My husband stayed here for a brief period of time after surgery and at first I hated it...seemed run down, sparse staff on weekends, but I must say, the place really grew on me... Lots of activities for everyone to do.. I absolutely can't say enough about the staff, they were amazing. Carmela always made sure my husband had what he wanted to eat and even brought snacks in for everyone staying there. The staff were always helpful and kind. Sheila was very informative upon discharge and Tania the discharge planner was very helpful as well. Eskaton Care Center Manzanita seemed clean, but it didn't impress me because it had a rundown hospital atmosphere, especially the rooms. It seemed very old. The person there was very helpful, took us around, and showed us everything. They were playing bingo. Maybe they can update it. I don't even recall there being a door in the bathroom. It seemed like a curtain. Very professional staff on all levels of care. Enjoyed the meals and the snacks provided throughout the day. Was there over the holiday season and found the atmosphere festive. The only constructive comment I would make is that the doors to the rooms are left open throughout the day and there is a lot of noise from the hallway, especially by the nurses' station. My husband received very good care and the facility was clean. Staff was helpful and kind. I would recommend this facility to people I know. I had great care and service while at Eskaton. Everyone of the staff were wonderful. I also observed how good the staff treated the other patients in my area. The food/meals were tasty and filling. Thank you all! …and God Bless You. The care and stay at Eskaton Care Center was wonderful from the CNA's, nurses to the unit manager Jo. The food was great too. It was always hot and it tasted gread. Thank you everyone for making my stay once again the best. My wife was at Eskaton for two weeks. I thought they did a wonderful job. I visited her there every day, and they were always very kind and supportive to me. If I had a question, they tried to get someone to answer it very quickly. I did not hear any complaints from her. 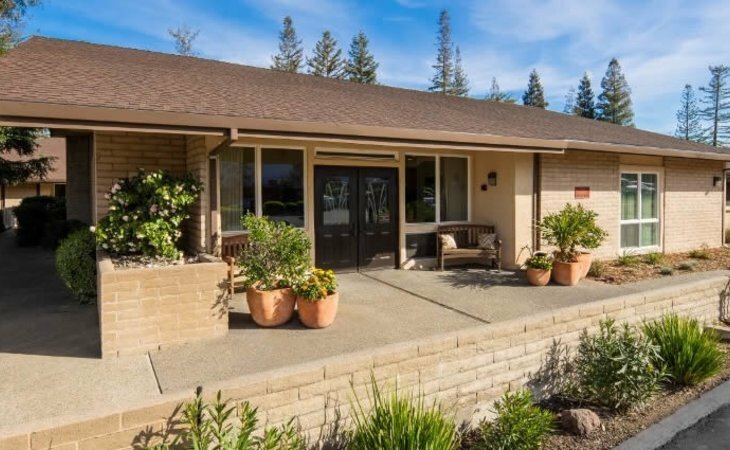 What should caregivers and potential residents know about Eskaton Care Center Manzanita?